1. 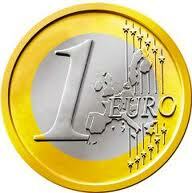 France and Germany explicitly ruled out the concept of a Eurozone Bond. This is unfortunate because in the long-term some form of combined debt issuance may help stability. 2. The latest structure is a modification of the EU treaty to incorporate stricter rules for fiscal discipline. The issue as to who actually signs up still remains. If countries such as the UK choose to stay out, so be it. Rather than signing up the 27 EU states, they will just get going with the 17 euro-zone members. Then others can come in later as they wish. 3. The fiscal discipline rules would set a hard limit of 3% deficit to GDP. Sanctions would apply based on the European Commission recommendation and would be waived only via the majority vote of member states. 4. The constitution of each member state would be required to have a balanced budget built in. The European Court of Justice would opine on each state's constitutional requirements to balance the budget in order to determine if such requirement meets the new treaty standard. This part seems incredibly difficult to implement and may bring up sovereignty issues. There may be significant internal political opposition within some member nations. 5. European Stability Mechanism (ESM) becomes the main fund structure to provide support for member state bonds. Going forward any member state's new bonds would be the responsibility of that state and the ESM. Private investors holding the bonds would be senior to the ESM and would NOT need to take a haircut as long as ESM is able to cover the principal. The Greece situation would not be repeated, even though Germany originally insisted on a provision that would put private investors on the hook for potential losses alongside with the ESM. 6. The ESM would be governed via 85% majority vote rather than unanimously as is currently the case. The goal is to avoid a single member from holding back the process. 7. France and Germany will leave the ECB alone when it comes to its contribution to fighting the crisis. This is where it gets vague because the proposed loan to IMF remains a big question. 8. Members will hold monthly meetings to address the standardization of labor and social welfare laws (which is meant to "help" other states achieve what Germany has done) as well as to deal with the inevitable euro-zone recession.